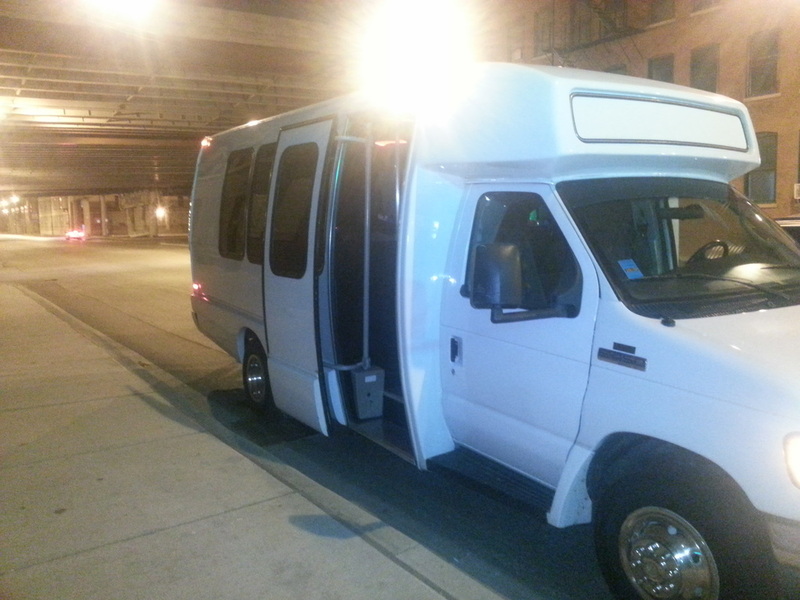 The Small White Limo Bus is perfect for a group of 8 - 16. 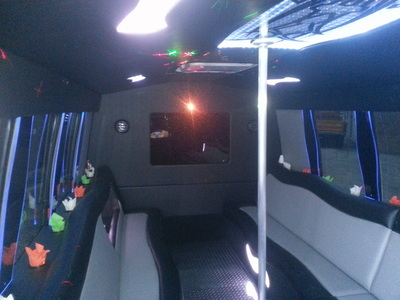 This party bus is fully equipped with wrap-around leather seating, a booming sound system, visual media, lasers, light shows and complementary beverages. 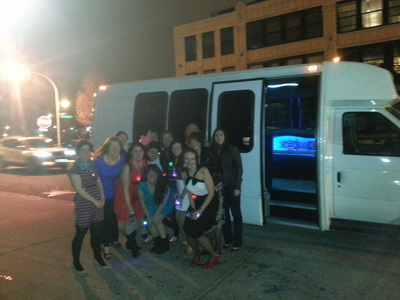 This is the ideal choice for a more intimate group to celebrate a special occasion.